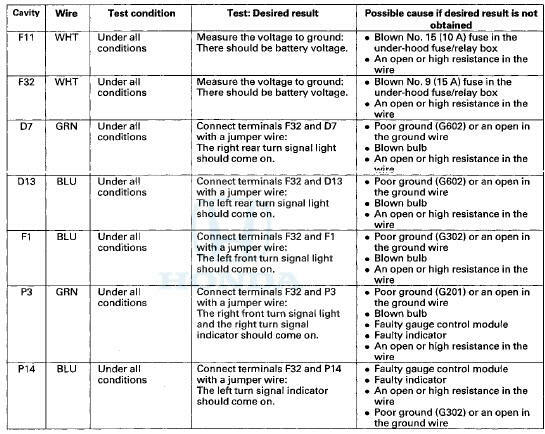 NOTE: вЂў Before testing, troubleshoot the multiplex integrated control unit first, using B-CAN System Diagnosis Test Mode A (see page 22-134). вЂў Before testing, make sure the No. 5 (7.5 A) fuse in the driver's under-dash fuse/relay box is OK.
1. Turn the ignition switch to LOCK (0), and remove the driver's dashboard lower cover (see page 20-166). 2. 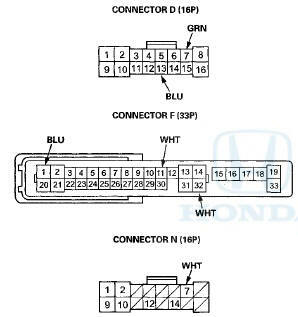 Disconnect driver's under-dash fuse/relay box connectors D, F, N, P, Q, and R.
NOTE: All connector views are wire side of female terminals. 3. Inspect the connector and socket terminals to be sure they are all making good contact. вЂў If the terminals are bent, loose or corroded, repair them as necessary and recheck the system. вЂў If the terminals look OK, go to step 4 . 4. 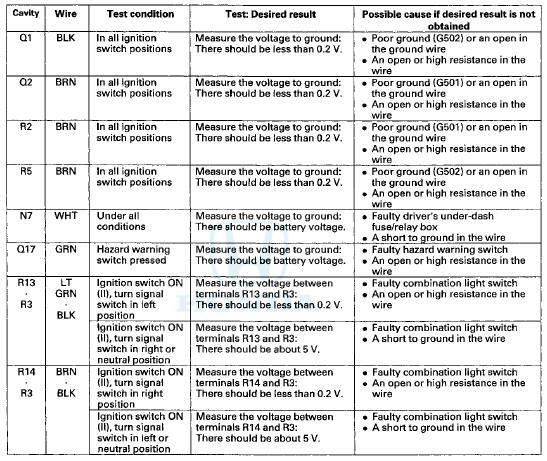 With the connectors still disconnected, do these input tests at the appropriate following connector. вЂў If any test indicates a problem, find and correct the cause, then recheck the system, вЂў If all the input tests prove OK, go to step 5. 5. Reconnect the connectors to the driver's under-dash fuse/relay box, and make these input tests at the connectors. вЂў If any test indicates a problem, find and correct the cause, then recheck the system.